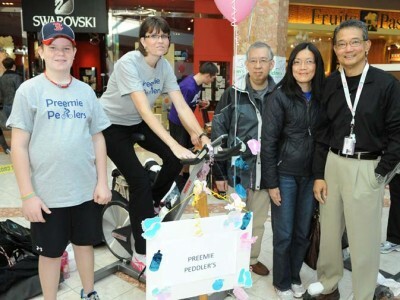 Dr. Victor Han (right) joins with Sam and Ruby Siu (centre) in providing some extra moral support to Preemie Peddlers teammates Andy Nopper (left) and his mom Paula at the 911 Clash for a Cause. A cascade of balloons drops from above to signal the end of the 2011 edition of the 911 Clash for a Cause Fundraiser at noon on Saturday (Nov. 5). 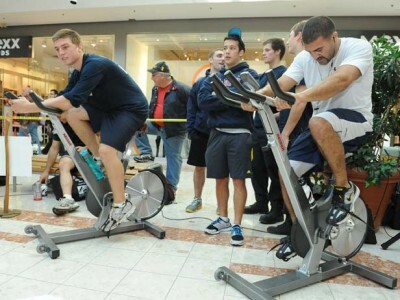 Lambton College students Joel Terhaerdt and Kyle Carneiro knuckle down on bikes instead of books, adding miles to their team’s total. 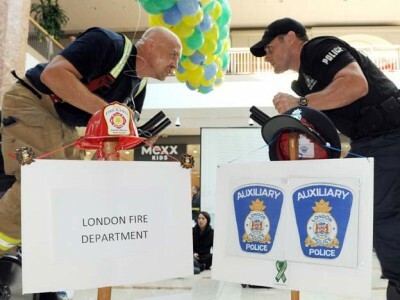 Firefighter Bob Geilen and Rick McWatt riding for the police auxiliary, go head to head during the final minutes of the 911 Clash for a Cause. 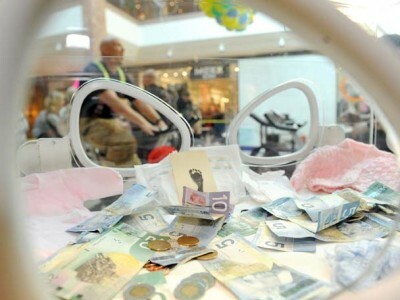 Pledges, bolstered by donations from well-wishers and shoppers at Masonville Place mall, helped the 911 Clash for a Cause raise over $25,000 towards the purchase of monitors for the Neonatal Intensive Care Unit (NICU) at Children’s Hospital, LHSC. Riding for Team Awesome, Rachel Skinner shows style and fundraising can go hand in hand. 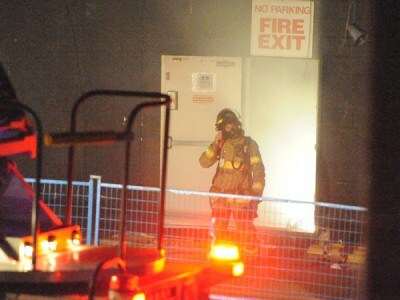 Starting at noon on Friday (Nov. 4) and running through until noon on Saturday (Nov. 6), members of both the local fire and police departments joined with other community organizations and battled it out once again in the 911 Clash for a Cause. 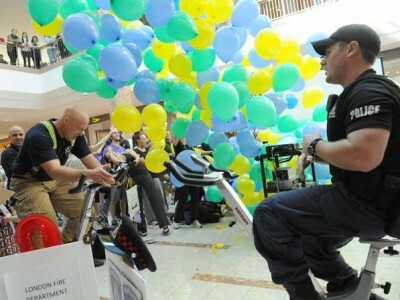 Held at Masonville Place mall, 14 teams of riders went the distance, competing in this 24-hour, stationary bike-a-thon to raise money towards the purchase of monitors for the Neonatal Intensive Care Unit (NICU) at Children’s Hospital, London Health Sciences Centre (LHSC). 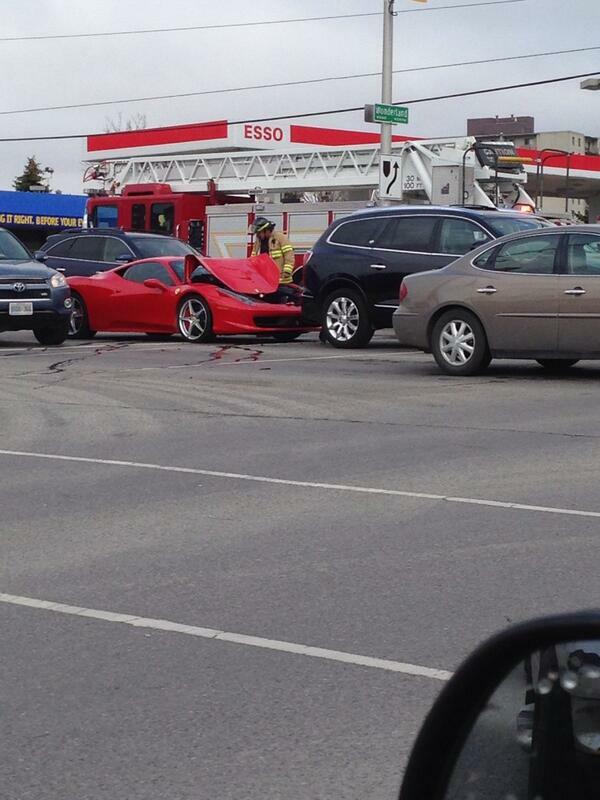 In all, more than $25,000 was raised through pledges and donations from this event.